Place vinegar, soy, sesame oil, ginger and sugar into a bowl and gradually whisk in oil. Season with salt and pepper to taste. If using horn meat, leg meat etc. place in centre of a plate and add a little dressing. 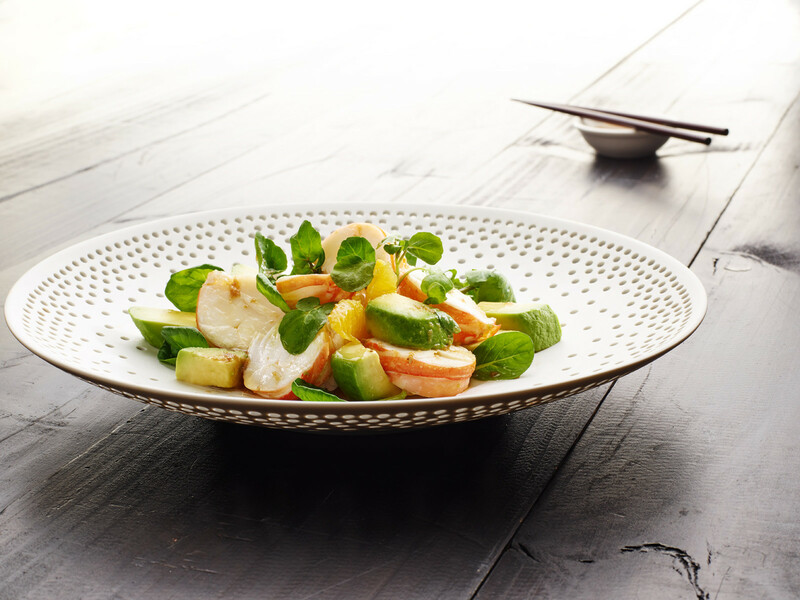 Gently mix lobster medallions, avocado, citrus segments, salad leaves with dressing and place on top.